Description. 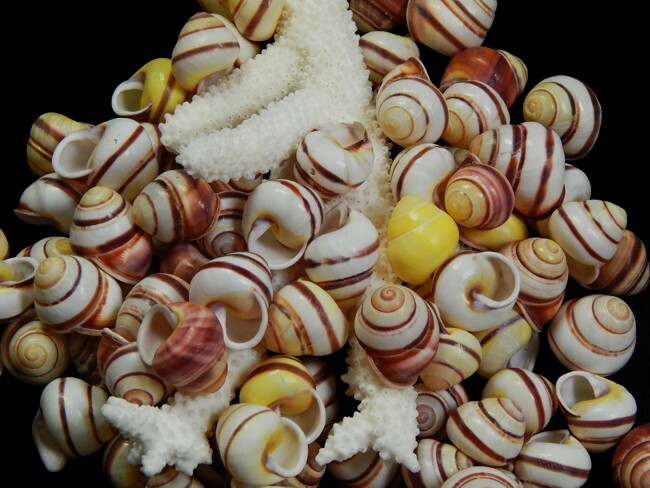 These candy snails were gathered near the Philippines. They prefer tropical waters near rocky shores. Scientific name. is Littoridae Tectarius Coronatus. 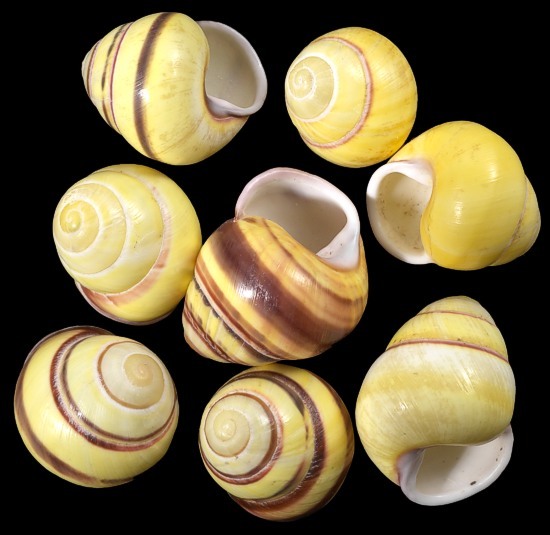 The Yellow Land Snail is in the family Cepaea Memoralis. It prefers forests in tropical regions, specifically the Indonesian area. These are a light weight shell popular with collector and crafters. Description. These Japanese land snails are from the Islands of Japan that feature over 200 different species of land snails. This species features alternating white and tan horizontal bands. A simple yet beautiful shell. They are light weight. Each shell measures approximately 2 to 2 1/2" in overall length with openings ranging between 1/2 to 3/4" in diameter. Excellent for smaller hermit crabs or an additional decoration for your tank. Description. 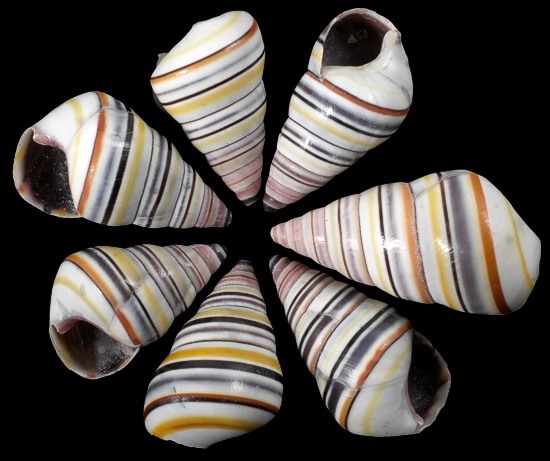 Haitian Tree Snails [also called "Candy Striped" or "Rainbow" shells] (Liguus virgineus, family Orthalidone) -commonly found in Cuba. This is a colorful land snail. A snail that is popular among crafters and those wanting to decorate their tanks. Description. 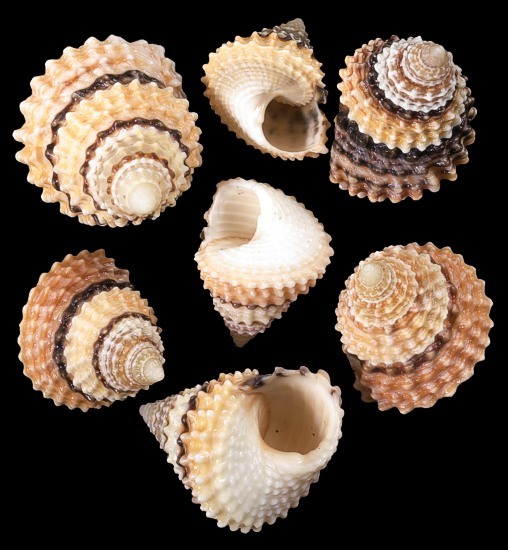 These are Assorted Land Snail shells from the tropical regions of the world. They are great for crafters and decorations for tanks. All light wieght shells. Listing Picture. Provides an excellent example of the shells, color, type and markings that make up this listing. 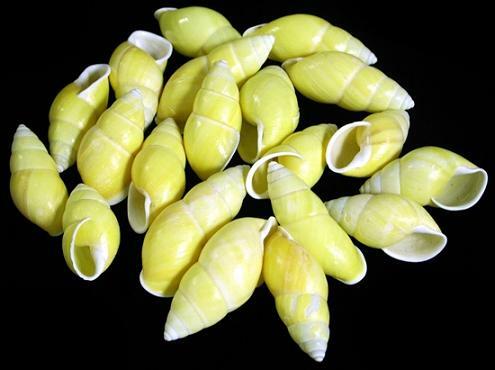 Description.Scientific name Calliostoma fernandezi These are perfect land snail shells for hermit crabs (shell opening about 1/2 inch), craft projects or decorating your tank. All light wieght shells. Listing Picture.Provides an excellent example of the shells, color, type and markings that make up this listing. Description. 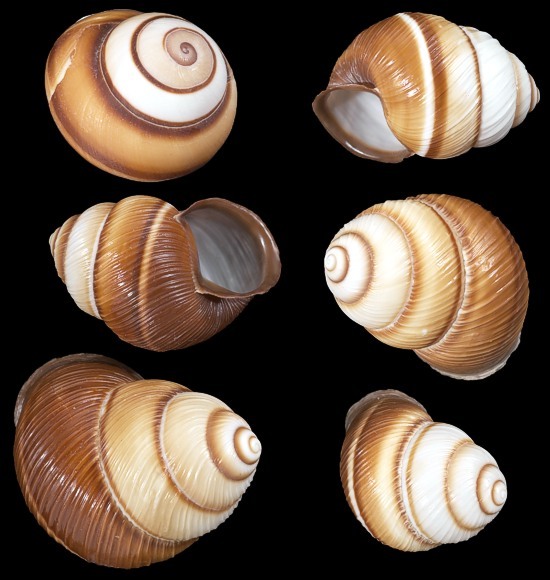 The Brown Land Snail has spiralling bands of tan and white highlighting this popular shell. It is perfect for smaller hermit crabs. Each shell measures approximately 3/4" to 1-1/2" overall with an opening of approximately 2/8" to 1/2" in diameter. The shell is also great for decorating tanks or craft projects. Listing Picture. The picture is an excellent example of the color bands, shape and markings of the Brown Land Snail. Description. 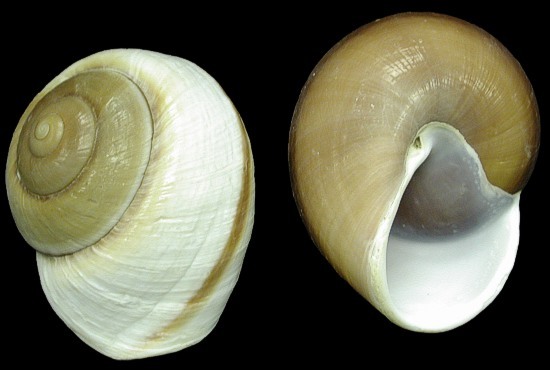 Heliacus snail (Order: Mesogastropoda, Family: Architectonicidae). They are a hitchhiker commonly found on colonies of zoanthid polyps. A distinguishing characteristic of this snail is that the "door" (operculum) that covers the animal when it retracts into its shell is cone shaped. This snail is a nocturnal predator of zoanthid polyps(related to coral) and is considered a pest by most reef managers. 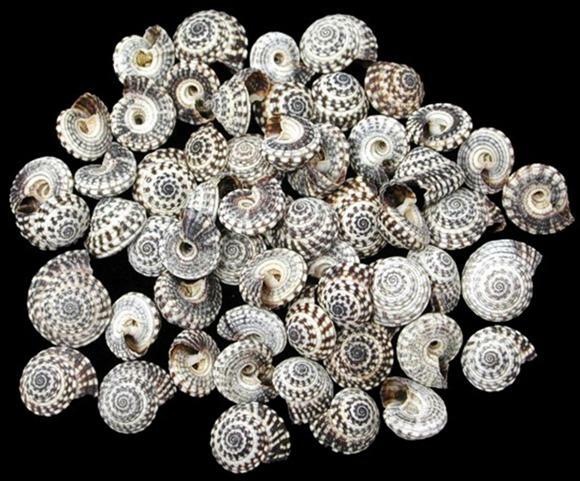 The shell is attractive and is a must among many collectors. Description. These are Japanese land snails. They have long been a favorite for hermit crabs. Listing Picture. 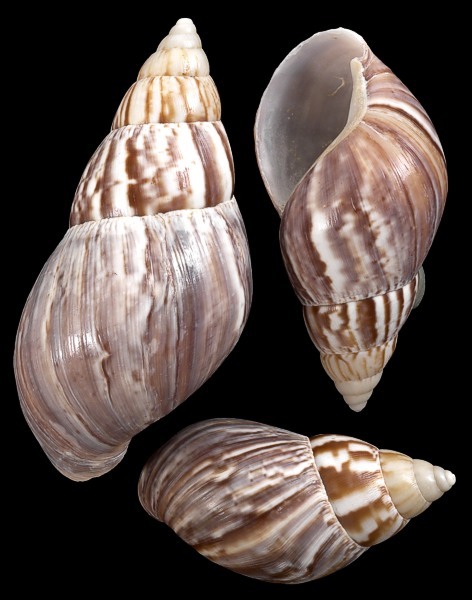 The picture gives a good example of the color (usually brown and beige), shape and markings of the Muffin Snail. A land snail is any of the many species of snail that live on land, as opposed to those that live in salt water and fresh water. Land snails have a strong muscular foot; they use mucus to enable them to crawl over rough surfaces, and in order to keep their soft bodies from drying out. Like other mollusks, land snails have a mantle and they have one or two pairs of tentacles on their head. Their internal anatomy includes a radula and a primitive brain. In terms of reproduction, the majority of land snails are hermaphrodite (have a full set of organs of both sexes) and most lay clutches of eggs in the soil. Tiny snails hatch out of the egg with a small shell in place, and the shell grows spirally as the soft parts gradually increase in size. A wide range of different vertebrate and invertebrate animals prey on land snails, and they are used as food by humans in various cultures worldwide, and are even raised on farms as food in some areas. In the wild, snails eat a variety of different foods. Terrestrial snails are usually herbivorous, however there are some species that are predatory carnivores or omnivores. 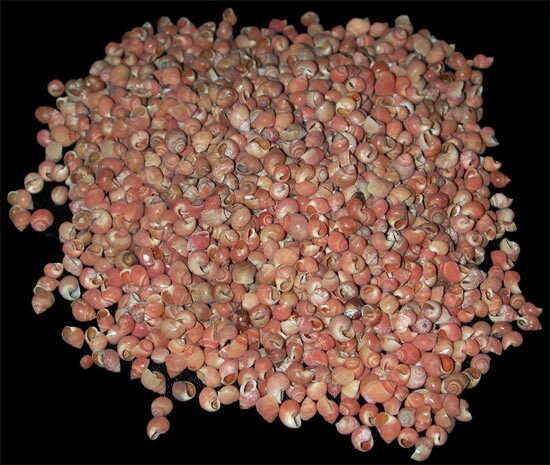 The diet of most land snails can include leaves, stems, soft bark, fruit, vegetables, fungi and algae. Some species can cause damage to agricultural crops and garden plants, and are therefore often regarded as pests. Land Snails attempt to protect themselves against predators, they retract their soft parts into their shell when they are resting; some bury themselves. Land snails have many natural predators, including members of all the land vertebrate groups, two examples being thrushes and hedgehogs. Invertebrate predators include decollate snails, ground beetles, leeches, and even the predatory caterpillar Hyposmocoma molluscivora. In the pulmonate marsh snail, Succinea putris, there is a parasitic flatworm, Leucochloridium paradoxum, which prevents the snail from retracting its enlarged and parasitized eye stalk; this makes the snail much more likely to be noticed and eaten by a bird, the final host of the flatworm. Humans also pose great dangers to snails in the wild. Pollution and habitat destruction have caused the extinction of a considerable number of snail species in recent year. 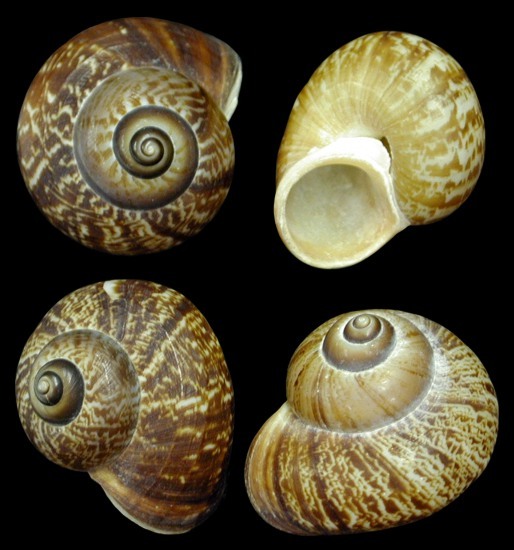 The lifespan of land snails varies from species to species. 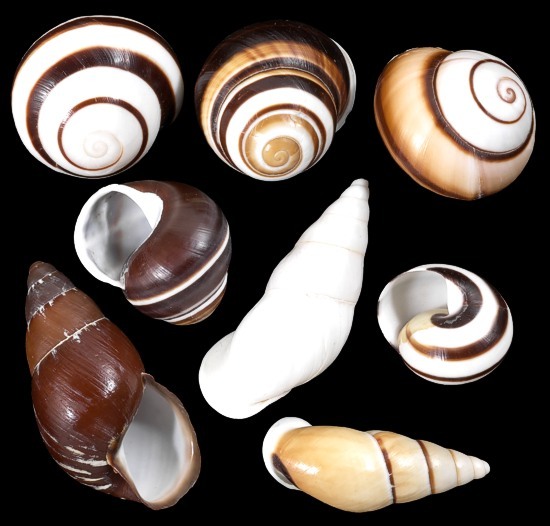 In the wild, Achatinidae snails live around 5 to 7 years and Helix snails live about 2 to 3 years. Many deaths are due to predators or parasites. 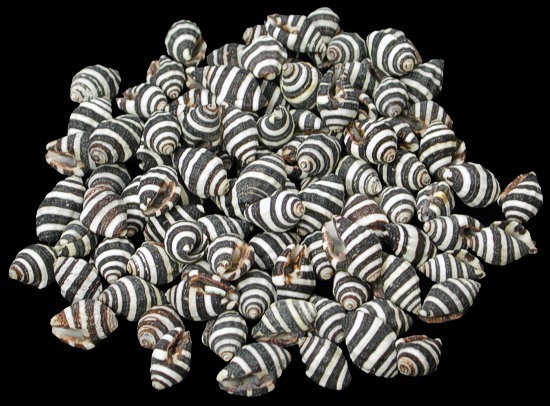 In captivity, the lifespan of snails is much longer than in the wild, ranging from 10 to 15 years for many species. On occasion, snails have lived beyond this lifespan, up to 25 years.